Setup of this program isn't too difficult. Just select a default multimedia device and set the volume. You're just required to have the SoundWire client installed on your phone or tablet, which is available from the Google Play store. Once you've got the server running, be sure to type the IP address from the main window into your Android application so that it can connect to the SoundWire Server. 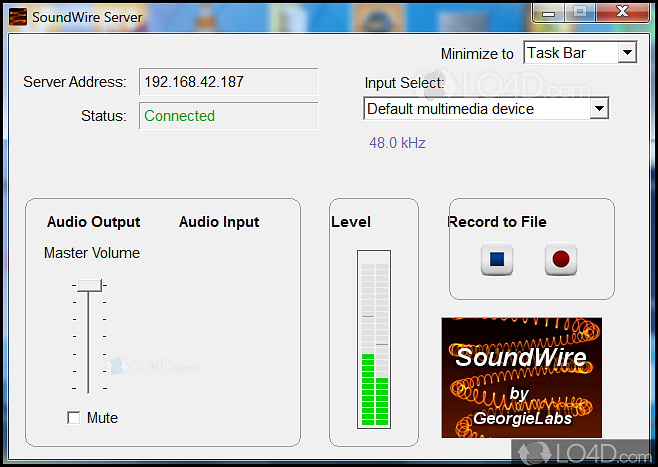 SoundWire Server is licensed as freeware for the Windows (32-bit and 64-bit) operating system / platform from mobile phone tools without restrictions. 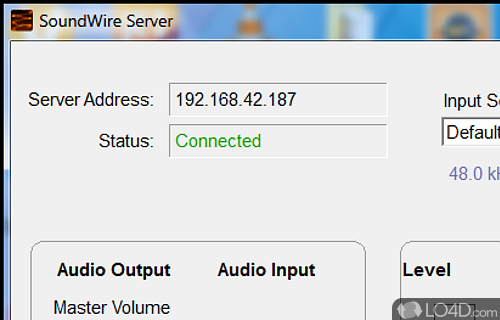 SoundWire Server 2.5 is available to all software users as a free download (Freeware). Compatibility with this software may vary, but will generally run fine under Microsoft Windows 10, 8, 8.1, 7, Vista and XP on either a 32-bit or 64-bit setup. A separate x64 version may be available from GeorgieLabs. This download is distributed as SoundWire_Server_setup7.zip. We have tested SoundWire Server 2.5 against malware with several different programs. We certify that this program is clean of viruses, malware and trojans.